Charles I of England is famous these days for really only one thing. He was the only English King to be executed by the English people. Executed at the end of the English Civil War, his death was an attempt to abolish the monarchy once and for all. 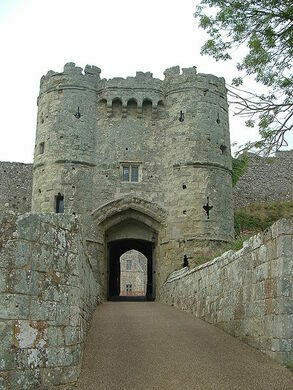 However, before Charles died he was imprisoned in Carisbrooke Castle on the Isle of Wight. It was here, waiting for Parliament to make a decision regarding his fate that Charles spent some of the last months of his life. The curious and tiny collection contains some very odd objects. Archeologists have speculated that there has been some type of fortified site on the grounds of the castle since before the Romans came to Britain in 43 AD. It became an Anglo-Saxon stronghold in the 800s, and by the year 1000 several large walls had been built to resist Viking raiders who, at the time, were marauding across Britain. Construction on the current castle began in the 1100s when it came into the possession of Richard de Redver and his offspring. Throughout the succeeding centuries different owners built new additions to the property and renovated the older buildings. In 1377, during the reign of Richard II, the French attacked the castle, however they were beaten off. 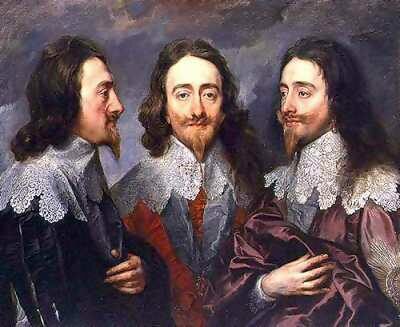 Charles I came to the castle at the end of the English Civil War. Over the course of his fourteen-month imprisonment Charles conducted frantic negotiations with a multitude of different factions, most notably the Scots as Charles’ father James I was James VI of Scotland as well as being King of England. These secret dialogues were initiated by Charles in an attempt to save his own life, and restore the monarchy to England. In these endeavors Charles was to fail, being beheaded in public on the 30th of January 1649. 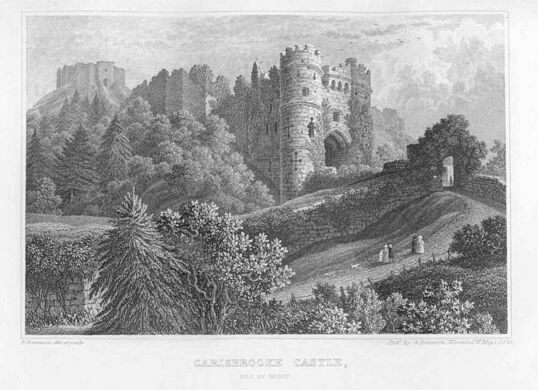 After his death his two youngest children were imprisoned at Carisbrooke. One of them, Princess Elizabeth, died there. These days the Castle is owned by the English Heritage foundation and is open to the public. The castle contains a museum that is mostly dedicated to the time Charles spent there at the end of his life. The collection includes personal relics, documents and other items from the English Civil War period. Carisbrooke Castle is signposted from here. This shell of a historic manor house on the Isle of Wight is said to be the most haunted site on the island. Obscene versions of this artist's work are the most popular.